Good Wi-Fi starts with a good router! Everyone wants faster Wi-Fi. When your access to media and your ability to perform and publish work quickly depends on your internet access having a speedy connection is essential. But how do you improve your Wi-Fi? Your internet router may just hold the key. The first step to ensuring your internet quality and speed is to access your router and ensure that it is secure and the settings are well set up. 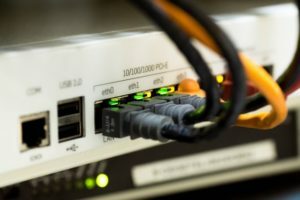 To start, you will want to connect to your router–through wired or wireless means–and take a look at the routers access credentials. If they’ve been left on the factory settings, you may have had anyone accessing your Wi-Fi and using up your bandwidth without your notice. By securing access to your router, you’re taking the first step to safer and speedier Wi-Fi. Once you’ve addressed the security issues the next step is to make sure that you’re accessing the correct bands. Depending on the gigahertz your router uses to create a signal makes a difference in what devices will work well with your router. Newer, multiband routers will allow you to use a variety of devices of different types. Another way to potentially increase your Wi-Fi speed is to see if you can set your router to a channel with less traffic. Some frequencies, such as 2.4GHz, are commonly used by cell phones and Bluetooth items. If you switch your router to a different channel, you can significantly improve your connectivity and quality. One of the biggest drains on Wi-Fi speed is often the simplest to fix. If you don’t have a good security system in place, it’s possible that your internet is slow because there are more people using it than just you. By switching your security settings and moving to a WPA2 connection with AES will give you a much faster and secure system. This entry was posted on Friday, May 11th, 2018 at 9:30 am. Both comments and pings are currently closed.